Invitations ~ High Society are perfect for any elegant event which needs a classy invitation to match. We love this as a ready-to-go wedding invitation option! 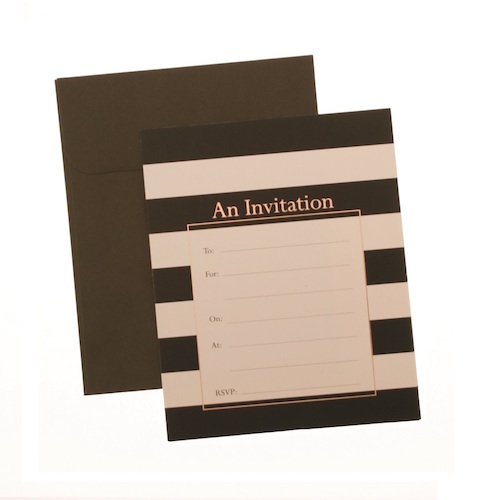 These invitations are printed on both sides of a good quality card stock and come with coordinating envelopes. To add some extra pizazz to these invitations, you could add some confetti to the envelope. Our favourite options are our tuxedo and gold confetti.